Back in 2015, the murder of Ananias Jolley shocked many in Baltimore City. They were shocked because the murder took place inside a school, where violence does happen but not murders. According to news accounts, Donte Crawford, 17, walked into a classroom and stabbed Ananias, also 17, to death with a knife. “In charging documents, police describe how Crawford paced the hallway outside Jolley’s biology class, leaning against lockers and looking around as if he was “waiting for staff members and teachers to leave the area,” before entering and stabbing Jolley several times. The city school police officer who wrote the report described how he encountered the teen “laying in the staircase with his feet pointing east.” Jolley was unresponsive, as medics administered first aid and put pressure on his wounds, and fights broke out among other students at the school, according to the report. “Before Donte Crawford was accused of stabbing a classmate in the heart at their West Baltimore high school, he had been bullied for months, he and his relatives told a Baltimore jury. 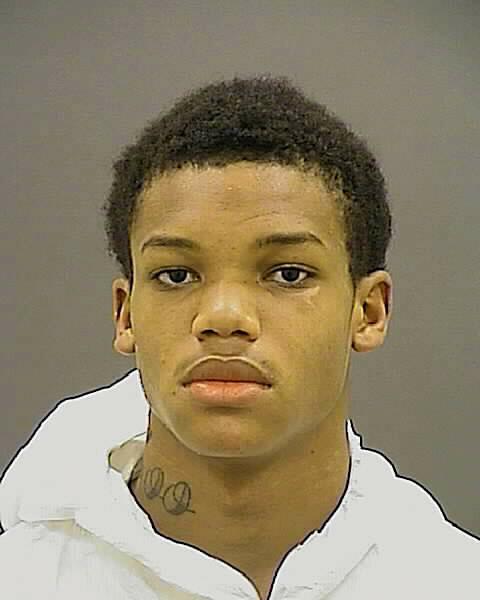 Crawford, now 18, testified Friday at his trial for first-degree murder that 17-year-old Ananias Jolley and some of his friends had been tormenting him, according to the Baltimore Sun. They attacked him after school, he said, and ridiculed him about his mother, who would show up at Renaissance Academy High School intoxicated. One of Crawford’s cousins testified that he was there when the teenager was kicked and punched repeatedly, the Sun reported. Another cousin told the jury that the family tried to remove the teenager from Renaissance because he was being threatened. The jury would acquit Mr. Crawford of all charges (murder and manslaughter) in October 2016. He was released back into the streets of Baltimore, as an adult. “On Thursday, police said a man was in serious condition after being found shot in the chest and unconscious in a stolen Dodge Neon — and with a stolen handgun in his lap — in the 1100 block of W. Lanvale St. about 5:10 p.m.
Sources said that the man is Crawford and that detectives believe he was exchanging gunfire with someone in a car that was chasing him. He was shot and wounded and then jumped into the stolen vehicle. Neither Crawford nor his family could be reached for comment. Defense attorney Jonas Needleman, Crawford’s attorney in his previous criminal case, declined to comment Friday. The sources requested anonymity to speak candidly about the investigation. Police generally do not provide the names of victims who survive shootings. T.J. Smith, a police spokesman, would not identify the shooting victim at a Friday news conference, but said police “would obviously look at retaliation” as a possible motivation in the shooting because “retaliation is a big thing in many of the murders” in Baltimore. Of course, this case reflects the cycle of violence in Baltimore City perfectly. You have a young man from a disadvantaged background who was exposed to violence in school and reacted to it with violence of his own. He was then thrown in jail for a whole year before he was acquitted. Once acquitted, and now an adult, Mr. Crawford seemingly turned to crime, got a gun, etc. And now he’s been shot. There are more questions than answers now when looking at this case as it pertains to violence in Baltimore City. Why was Mr. Crawford in that school for “at risk” youth to begin with? What made him “at risk”? What kind of people was he associated with in that year in jail while his trial happened? Did he make “bad” connections in jail? If he did, did he keep them once out of jail? What kinds of opportunities were available (or not) for him once he was let out? How did he acquire that gun? How did he come to be in that car? What has he been up to leading up to this incident? Most importantly, how can this cycle be stopped at Mr. Crawford before it comes back around and maybe kills him (or he kills someone else) next time?